Choose Dubuque Roof Repair for all of your storm damage needs. As a local company we can get there fast to inspect the damage to your property. Our professional team can implement a temporary fix while examining the rest of your home or business for storm related issues. After a thorough evaluation we can provide you with options for repairing your damaged roof or possibly a full replacement. Hail can have devastating effects on any roof, no matter the size of the stones. 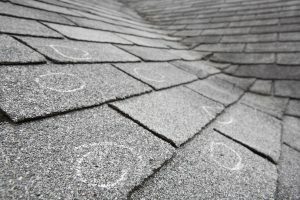 The speed and angle at which it impacts your roof can leave asphalt shingles susceptible to the pelting effect of these hail stones. This can beat away at the layer of granules that protects the shingle from the powerful UV rays of the sun. With this level of protection missing they will weaken over time and be prone to cracking. There could be obvious spotting on the roof or it may not be visible without a skilled inspector to examine the shingles first. Call us today for a free consultation. The force of strong winds during a severe storm can cause major damage to your property. The asphalt shingles on your house can be ripped away from your rooftop in a high wind situation. A severe thunderstorm or a windy day can also cause debris or branches to impact the exterior of your home or business. Loose or broken shingles need to be fixed as soon as possible to prevent additional problems. We are your local Dubuque, IA roofing contractor and will repair it correctly the first time, every time. 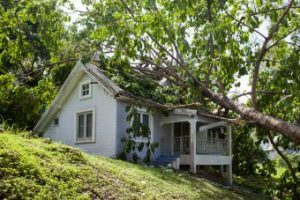 Filing an insurance claim for storm damage can be a difficult process for property owners. Insurance paperwork is sometimes complicated and can take a lot of time. We realize that your project needs to be completed in a timely manner and will work with you to ensure that you receive the full compensation that you deserve. 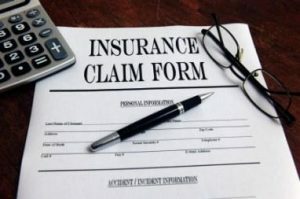 We will meet with your insurance adjuster on-site to make sure their is no question as to the extent of your damage. Our team is trained in damage identification techniques and will make the entire process stress free for you. Call or text us for all of your storm related repairs.